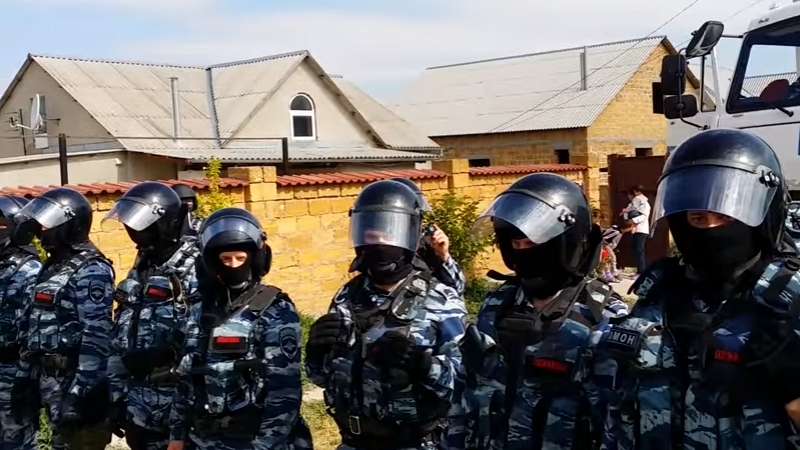 October 2, security officials in the Crimea broke into the house of Crimean Tatar Renat Suleymanov and carried out searches, according to the report on the "Crimean solidarity" page on Facebook. “This time the security forces broke into the house of a resident of the Molodezhnoe settlement (Simferopol district). The search takes place in the house of the local initiative activist, the Crimean Tatar Renat Suleymanov. According to the villagers, he is a religious and moral person. He is respected by fellow villagers and at the moment many of them are near his house. Renat is a tailor by profession, he sews clothes. Three girls are growing up in the family,” the report says. Earlier, on September 13 in the Crimean village of Nizhnegorsky, the security forces conducted a search in the home of the Crimean Renat Paralamov, calling it "a survey and investigative actions." According to eyewitnesses, following the search, people in masks and without any identification marks on the uniform took Paralamov to an unknown direction. Later, Paralamov was found with signs of torture and taken to the hospital.